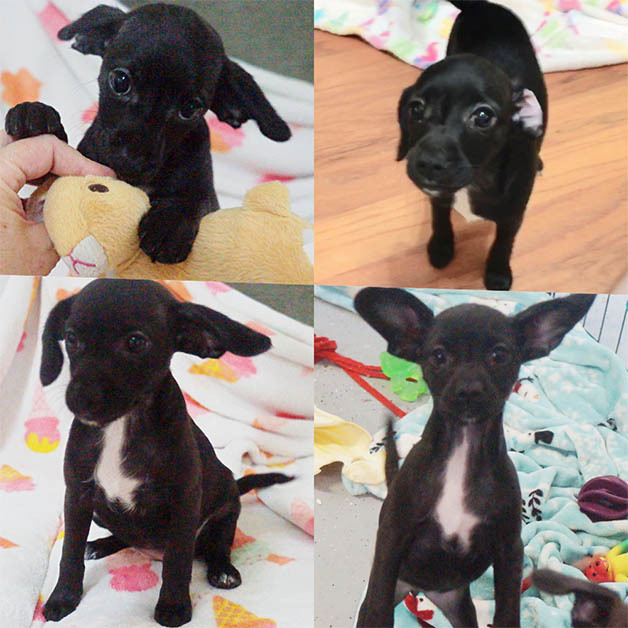 Eloise is a 2.5 month old female Terrier mix puppy who is available for adoption from Coastal Pet Rescue in Savannah, GA.
Eloise is a spunky little gal! 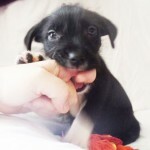 She will stay tiny like her Mom ..13 lbs… but has a lot of energy! 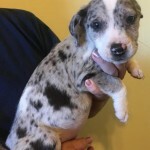 Buggy is a ten-week old male Dachshund and Terrier mix puppy who is available for adoption from Coastal Pet Rescue in Savannah, GA.
Buggy is a Dachshund mix. He is a big time cuddler. 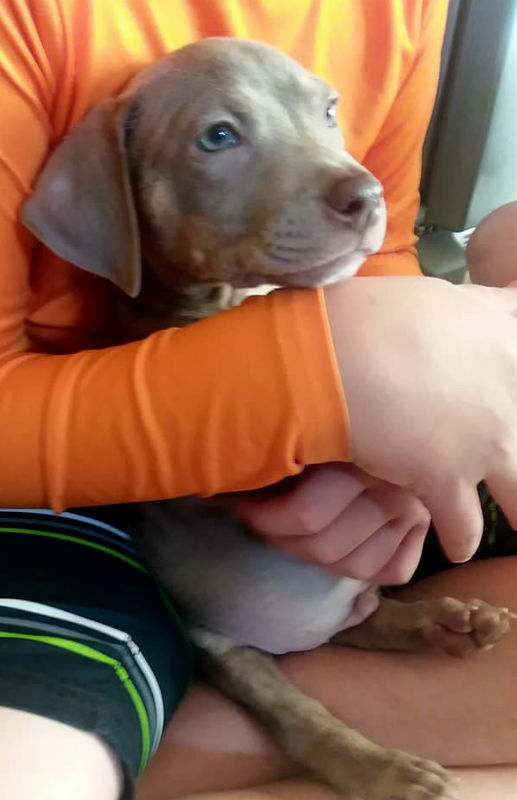 He loves everyone and every animal he meets, and is already learning “sit”, and “no”. 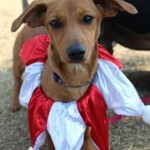 Buggy is a medium energy puppy who is eager to learn and love! 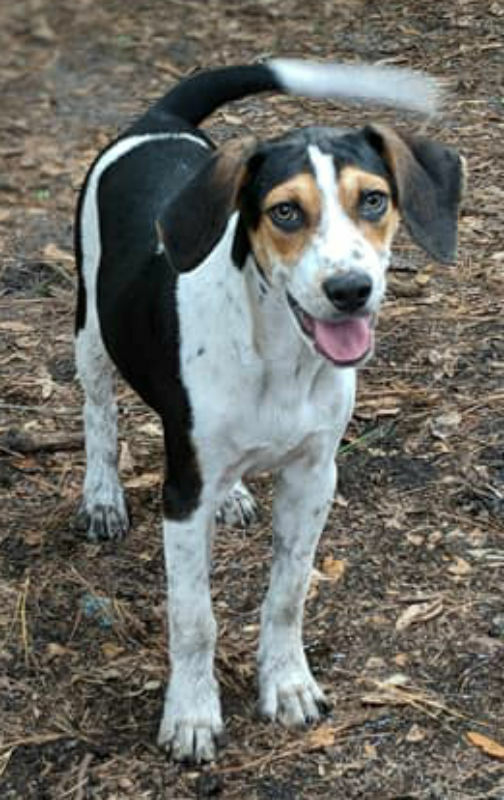 Milo is an 8-month old Treeing Walker Coonhound mix puppy who is available for adoption from Coastal Pet Rescue in Savannah, GA.
Hi, I’m Milo! I love hanging out with my siblings (Mina & Milam). We love to play, swim and wrestle with each other. All. Day. Long. I’m just a typical fun loving puppy and do well on car rides. 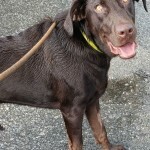 I get along with other dogs and would do best with a playmate. I also need someone who will be patient with me and teach me leash manners, and help me control of my pent up puppy-nality. A Chatham County Sheriff’s Deputy helped rescue three puppies from a vacant home, according to the Savannah Morning News. Williams said he was impressed by the diligence of the sheriff’s office, and was thrilled that “the high sheriff himself” called him back. “I told him that I was amazed that he personally called me back, and to make sure he patted Lt. Webber on the back for making sure it went through,” Williams said. 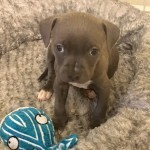 The yet-to-be-named puppies are now staying with Williams and his two dogs, Harley and Myra. For now, he’s calling them Pretty Girl and Pretty Boy.